8 Piece Set Bake and Serve Tea Cups and Saucers Just $6.99! Down From $24.99! Ships FREE! You are here: Home / Great Deals / 8 Piece Set Bake and Serve Tea Cups and Saucers Just $6.99! Down From $24.99! Ships FREE! GearXS has this 8 Piece Set Bake and Serve Tea Cups and Saucers on sale for $6.99 (Reg. $24.99) + FREE shipping! Teatime not exciting enough? 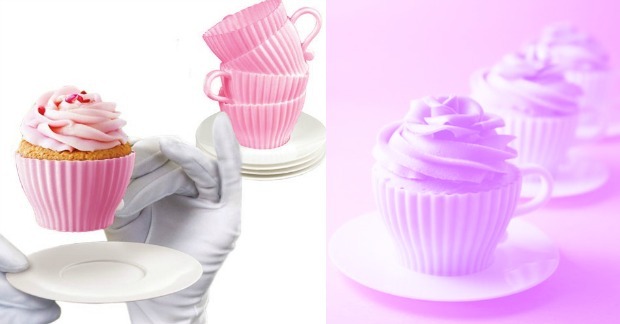 Make it that much more fancy with the Bake and Serve Tea Cup Molds. Bake that favorite batter, pour it into the teacup mold, bake and serve the fancy cupcakes, in a very fancy fashion. Serve on saucers to make teatime extra elegant.